During the Middle Ages, a pilgrimage provided the most popular and convenient form of travel for people with means. The destinations were cathedrals and their collections of relics, reliquaries, and, coincidentally, great works of art. Medieval cathedrals met many of the criteria we use today to define museums: they had collections, an audience (both local and foreign tourists), an educational agenda (Catholicism), were open to the public, and provided the foundation for a growing tourist economy in many cities. Mary Malloy has been on the faculty of the Museum Studies Program at the Harvard Extension School for more than a decade, and won the teaching prize in 2010. She earned her MA in American Studies at Boston College, and a PhD at Brown University. The author of three novels and four works of nonfiction maritime history, Malloy has walked across England to trace the pilgrimage route of Chaucer’s “Wife of Bath,” and has followed the character’s path to Rome, Bologna, Santiago de Compostela, and Cologne to look at cathedrals and their collections. She is currently working on a book on the history of museums. The lecture, “Medieval Cathedral as Museum,” took place at the McMullen Museum on March 16, 2017. 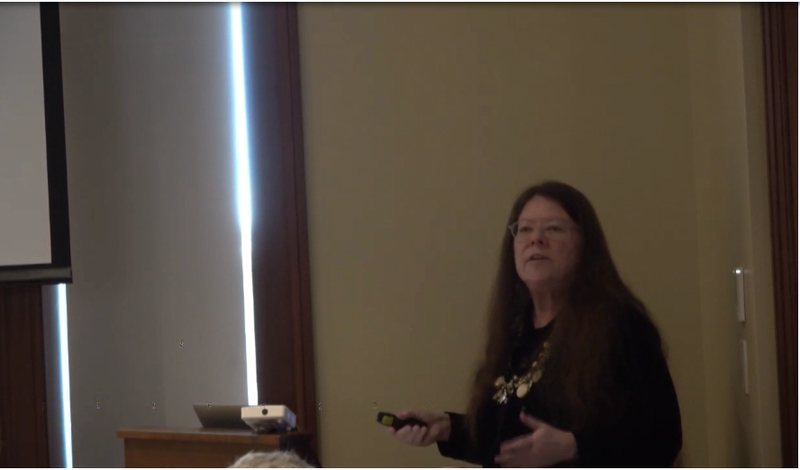 A recording can be accessed via the following link: Mary Malloy Lecture. Please be sure to update Adobe Flash on your device to access the software’s full interactive features.